Windows 8 OS is for the Tablets, Laptops and Personal Computers. This is the real USP for the Windows Platform in its new Avatar.Windows 8 Operating system now is ready for the Public to jump upon. And you can Download it from Official Microsoft Windows OS website here. Its a Short time span for the Intuitive looking Windows 7 . 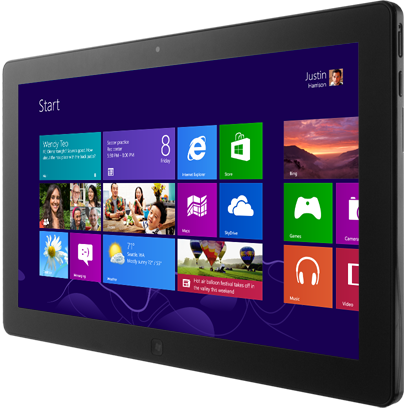 The New Metro Styles Windows 8 , seems to be the talk of the town. I too took that stride in exploring the best of features that this , most awaited (though the iPad Mini news is most waited one in recent weeks) Technology news. As Microsoft puts in "Windows 8 is designed to let you do what you want, the way you want. ", the optiomisim seems to go valid. Remember Windows 8 comes in a ARM architecture flavor , called Windows RT, and the Windows 8 has the 64-bit and 32 bit version like the Windows 7 OS. To me the Best future for Windows 8 Lies in its Applications "Windows Store Apps" , which will be the key to its Success in Coming Years.